Posted on October 16, 2017 at 8:00:00 am by Viv S.
Nothing says fall better than a glass of fresh-pressed apple cider. 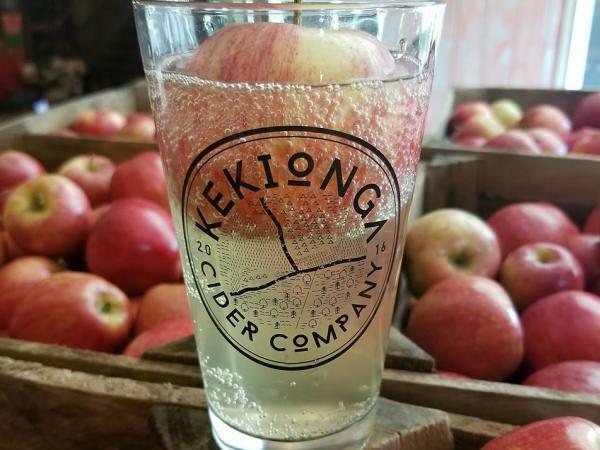 Whether you crave soft or hard cider, the Kekionga Cider Company at 7328 Maysville Road is the place to go. 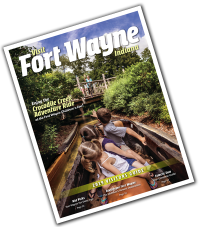 Located inside the historic Goeglein Mill at 7328 Maysville Road, directly across the street from Goeglein&apos;s reception hall, the bar/restaurant is Fort Wayne&apos;s only handcrafted and unfiltered, hard cider producer. 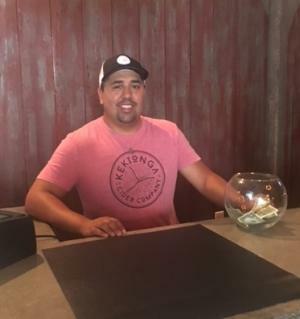 The cider company opened in July, according to one of the co-owners, Logan Barger, who was bartending when some friends and I visited recently. Logan suggested we try their best selling hard cider called Brass Cannon, made with a blend of Honeycrisp, McIntosh, Cortland, Northern Spy, Jonagold, and Ida Red apples. 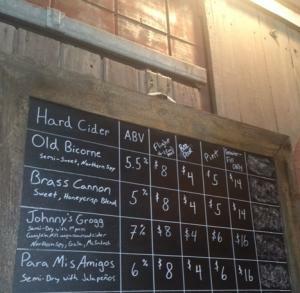 Our group of four gave the Brass Cannon a big thumbs-up, although I later regretted not trying a "flight," which is a sampling of four of the company&apos;s signature hard ciders. But since I was driving, I decided, uh, no. Next time maybe I&apos;ll try that flight or a pint, after I confirm a designated driver. Hard cider has about the same percentage of alcohol as craft beers and generally more alcohol than the "light" beers, Barger told me. While the cider we were enjoying was 5 percent ABV or alcohol by volume, another featured cider, Johnny&apos;s Grogg, was 7 percent abv. Typically, hard cider does not contain more than 13% ABV or less than 2.5% ABV. Here are the Cliff Notes on cider versus juice: Hard cider is the alcoholic fermentation of apple juice. Soft cider is raw apple juice that has not undergone a filtration process to remove coarse particles of pulp or sediment and apple juice is juice that has been filtered to remove solids and is usually pasteurized, although standards vary from state to state. In unpasteurized soft apple cider, naturally occurring yeasts can cause fermentation, making the drink slightly fizzy and alcoholic over time. 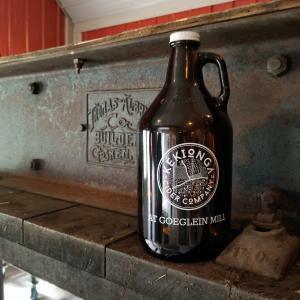 The old mill where the cider company is located has a casual, earthy ambiance. 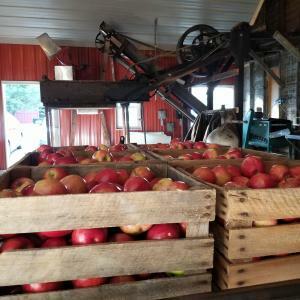 A huge apple press takes up one corner of the main floor and if the timing is right, customers can watch the apples being processed through the press. A farmers market with produce, pumpkins, Indian corn and more is located at the front of the building. Although the farmers market is seasonal and closes around Thanksgiving, the cider company bar and restaurant will be open year-round. 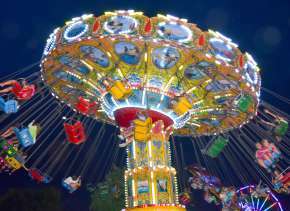 Currently, hours are Friday, 5-9 p.m.; Saturday, 12-9 p.m.; and Sunday, 12-6 p.m. Beginning the first week of October, it will be open Wednesday through Sunday, Barger said. Winter hours can be found on the company&apos;s website. The bar and a restaurant are located on the main floor and a larger room with more available seating is located downstairs. 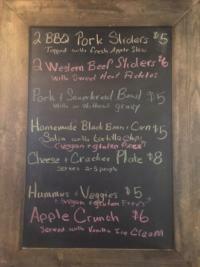 The featured food menu and the hard cider menu can vary from day to day. 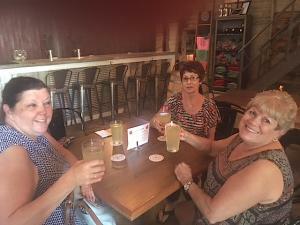 On our first – but probably not last – trip to the Kekionga Cider Company, Cheryl Eggelston of Fort Wayne ordered the pork sliders, Marcia Hoffman of Churubusco ordered the corn and bean salsa with tortilla chips and Peggy Howey, also of Fort Wayne, and I ordered the pork and mashed potatoes. Mine had a side of sauerkraut - talk about your comfort foods! - it was just like my mom and dad used to make. We all ordered dessert - a warm, baked apple crisp with a scoop of vanilla ice cream and a drizzle of caramel - and could have easily downed another, but decided that may have been viewed as gluttonous. We ordered our food at a window and the waitress, who was knowledgeable and friendly, delivered it to our table and informed Marcia that her dessert was free because she had overheard us mention it was Marcia&apos;s birthday. 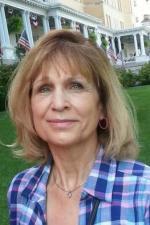 "The apple crisp was delicious," Cheryl said, "and the atmosphere is very cool. While I don&apos;t normally enjoy the taste of alcohol, I thought their hard cider was very good. It&apos;s a good place to hang with friends and family. I&apos;ll be going back." Peggy agreed, adding that the Brass Cannon cider had a crisp, fresh taste. "The mashed potatoes with pulled pork was a good match with the cider," she said. Apparently, we have not been the only ones to enjoy our visit to the cider company. Business is booming, Barger said. 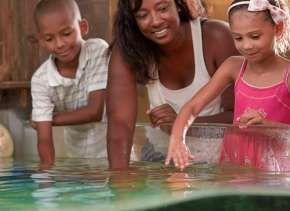 The company started with one 1,000-liter tank and is now in the process of buying a fourth tank to accommodate the crowds that pack into the building on weekends. They are also buying a small bottling line, so that they can bottle and sell their most popular ciders. 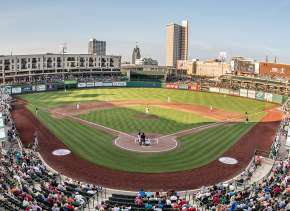 "We&apos;ve had to expand a lot faster than we thought," Barger said. Besides Barger, other co-owners include Britt Falkenstern, Tyler Butcher and Don and Greg Goeglein.